High-speed camera systems for 3-D motion capture of biological, engineering, mechanical objects and more. 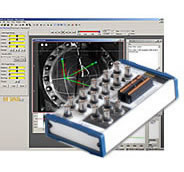 Use any video camera as a measurement tool with our Motion Analysis software. Available in 1-D, 2-D, and 3-D.
Add the ability to accurately collect data from sensors, gauges and instruments with your high-speed video. 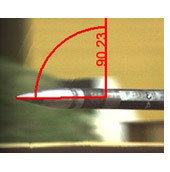 Analyze flight dynamics of projectiles and ballistics on test ranges using one of our 3-D FlightPath software packages.